Above: the small but deadly irukandji, or box jellyfish. Photo: Robert Hartwick. The irukandji, sea wasp, or box jellyfish (class Cubozoa) is one of the most venomous jellyfish in the world, and are potentially fatal to human beings, though some species can be as small as your fingernail. It’s no wonder, then, how this small fish ends up dead as a Julius Caesar within seconds of being ensnared. As winter takes its icy hold across much of America, you might find yourself cursing your cube walls and daydreaming about tropical escapes. Well, Monterey Bay Aquarium (MBAYAQ) has brought a mini-escape right to your laptop. Jellyfish have organelles called nematocysts, which work like hypodermic needles when engaged, breaking through the tentacle and ejecting venom. For the first time, this process has been captured on film under a microscope (using an anemone, which are related to jellyfish) at James Cook University. Monterey Bay Aquarium Research Institute explained what this mystery ocean ghost like creature was in this popular undersea video. It’s a jelly called the scyphomedusa Deepstaria, which was named after the deep star sub that discovered it in 1966. 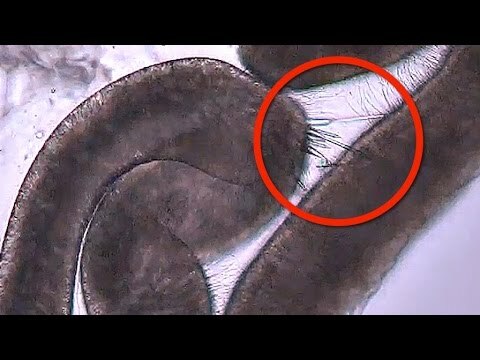 Watch the first video, and then the second and if you want more, read more proof by the scientists of Deep Sea News. Those are box jellyfish stings that Diana Nyad, ultra marathon swimmer, sustained 90 miles into an attempt to swim from Cuba to Florida. Elizabeth Weil has an amazing profile in the NYTimes about ultra distance swimmer Diana Nyad. Soon after the lede has a fascinating lead. She counts her time in the ocean by singing Bob Dylan’s “It ain’t me, babe”, the Beatles’ “Paperback Writer” and other songs from a mental playlist of 65 tunes. The story has too many wonderful details in it to be missed, spanning Diana’s childhood mentors and villains, her Muhammad Ali like bravado that she displayed to the world in her 20s, and detailing the extreme sacrifice, physical and emotional, that she and her loved ones go through in her quest to swim from Cuba.